Mom Among Chaos received tickets to this event to facilitate this blog post. All opinions are my own. This blog contains ads. (DETROIT– August 7, 2017) — From the producers of the box office smash Girls Night: The Musical comes the must-see holiday show, Twas A Girls Night Before Christmas: The Musical. The Christmas sequel will play at the City Theatre from Thursday, December 14- Sunday, December 17. Tickets ($43) are on sale now and can be purchased at 313presents.com, The Fox Theatre and Little Caesars Arena XFINITY box offices and Ticketmaster.com. To charge tickets by phone, call (800) 745-3000. Discounts are available for groups of 8 or more by calling 313-471-3099. For additional information, call (313) 471-6611. 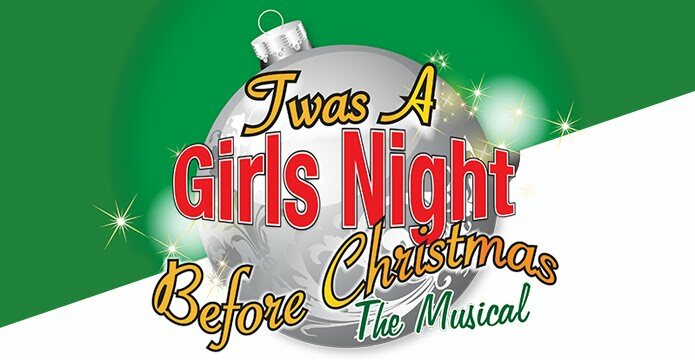 Twas A Girls Night Before Christmas: The Musical will feature the five ladies we have all come to know and love gathering for a night on the town to laugh, cry, gossip and just let their hair down during the craziest of times: THE HOLIDAYS! This musical is guaranteed to resonate with anyone who has survived the holiday season, from the long visits with in-laws to the overcrowded malls. Twas A Girls Night Before Christmas: The Musical will feature the touching and hilarious writing by Roche that has entertained audiences worldwide, with classic Christmas songs and contemporary Hits that will have everyone singing and dancing along. Thursday, December 14 8 p.m.
Friday, December 15 8 p.m.
Saturday, December 16 3 p.m. & 8 p.m.
Sunday, December 17 3 p.m. Enter to win 4 tickets to see this show at the City Theatre on 12/14/17! Giveaway ends 12/1/17. You must be local to win!